US Shipping $3.00 for the 1st of these items purchased - Snap Mini Wallets - Key Fobs - Passport Covers - Checkbook Covers - Zipper Coin Purses - Zipper Pouches - then FREE US SHIPPING for all other of these items you purchase. 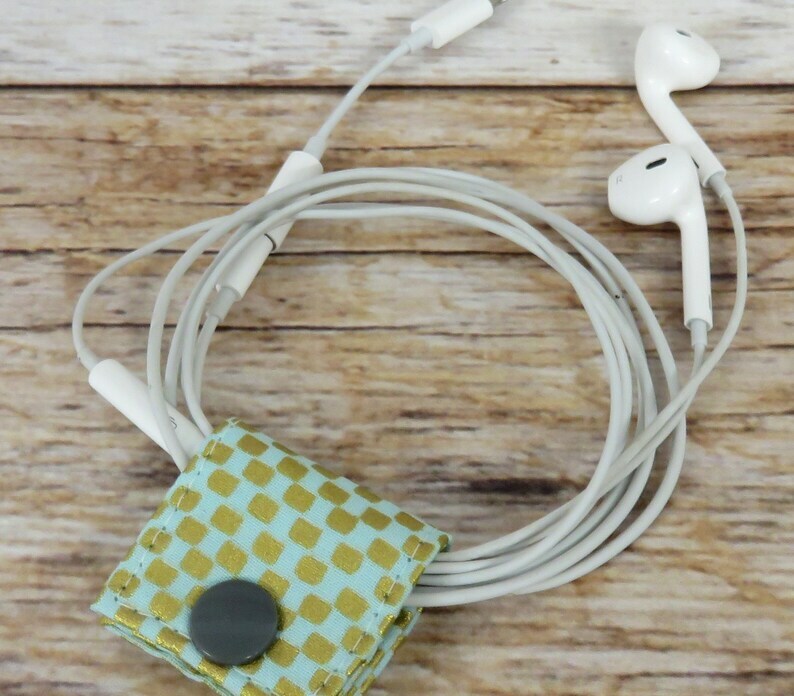 • Fabric Cord Organizer to keep your headphones / cords neat and organized. • Keeps your headphones cords or charger cords organized and tangle free. • Cotton + Steel- Checkers in Mint Metallic Gold - Amalfi- Rifle Paper Co.